Last Saturday, i did a presentation about the Windows 8 Development Platform at the Montreal .NET Community. Along with my co-presenter, we did cover most of the aspect that are involved in the Windows 8 Metro Application. All of you who are building application for Windows Phone, i invite you to start looking or port your application on Windows 8 Metro. This is a great opportunity to create a nice integration between the Desktop and the Mobile platform. Base on the fact that the application are using mostly the same standard as on Windows Phone development. So you can start to look at http://dev.windows.com and http://design.windows.com to get more information. For sure this is only the beginning, and i already plan o build some app hat will use both platform. Over the last year, Runatserver have been working hard on a new product that change the way engineers and architect work with plan. Smart-Use was born to help those people in their day to day job. Smart-Use have been nominated as a worldwide finalist for Microsoft Next. We need your support. Smart-Use, our multi-touch 3 screens solution, is among the 27 finalists worldwide for the Microsoft Next 2012 competition. We need you to win the People's Choice award, follow the link above and make ​​a Facebook "Like", thanks to help a small Canadian company! Thank your for your support! Hi Canadian Windows Phone developers! This year Microsoft Canada, created a nice contest (based on some post i saw on the web, other country are pretty jealous of us). 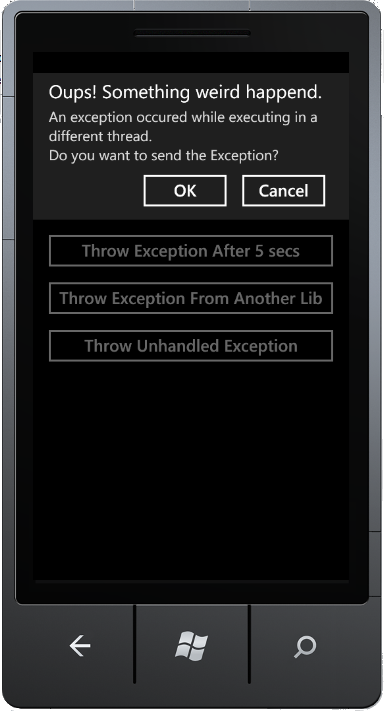 So if you ever wanted to create apps for the Windows Phone, it now time to do so. So by publishing some nice apps, you may be rewarded with some cool prizes ( and yes they are very cool!). You can read all the information on the following website : http://www.developermovement.com/. Do like me and start find some ideas and create nice applications for one of the best phone! I hope to install some of your nice apps! Hi, this is a long time since i updated my blog. Up to now the new year keep me very busy. This small break (from my blog) is now over (I'll do my best to post update more often). So i decide start by changing the theme of my blog, which reflect my passion for the Windows Phone development. 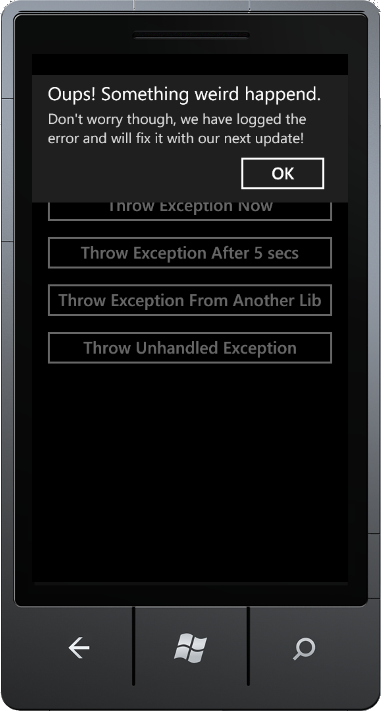 This year i will probably write about Windows 8 development, because in my mind these Windows Phone and Windows 8 development (base on XAML) are very connected. Recently, I've been interviewed by Frédéric Harper from Microsoft on the “Connexion Developpeur”. The subject of the interview is about the development of the Windows Phone application for TechDays 2011 (Canada). Today is an exceptional day for RunAtServer. My co-worker and i are proud to announce the release of our product called SmartUse. SmartUse is a solution designed specifically for professionals in engineering and architecture. SmartUse is an application that allows engineers and architects to manipulate, and annotate their plans on touch screens such as the S55 table, digital tablets (toughbook) and computers. Information is instantly shared between the site and offices. Designed on the model of a drawing table, the table S55 fulfils all the functions of a plans room and to view actual size plans. SmartUse was designed by RunAtServer team, a subsidiary of Wygwam. Revolution for the construction trades, it leads to savings on paper, space and working time. It streamlines and optimizes the work of engineers and architects and guarantees them comfort and ease of use. So last night I did a presentation at the Communauté .NET Montréal about - Les nouveautés de Windows Phone 7.5 "Mango" ( What’s new in Windows Phone 7.5 “Mango”). I really enjoy presenting last night. Thanks to everyone who were present. Meeting .NET - Les nouveautés de Windows Phone 7.5 "Mango"
Wednesday November 23rd, I'll do a presentation at the Communauté .NET Montréal. The subject of my presentation is about the new feature of Windows Phone 7.5 “Mango”. This presentation target developers who are interested in building or migrating Windows Phone apps. Last year, i did an unofficial Windows Phone application. This year the team in charge of the TechDays ask me to create the application for this Year events. They provide me with a brand new event OData feed. In this new application, I’ve decided to make the application to support some Mango feature like Fast-switching, Secondary Title, etc. I restart from scratch for the implementation of the Data inside the application. Now the application is fully functional without Internet connectivity (only the first time to gather the latest data from the OData feed). I did a brand new scheduler, where you can easily view and flag which session you want to see. I hope you will like the application and find it useful. The application have just been certified so the application should be available by Tuesday morning. I hope you enjoy TechDays (currently in Toronto, and coming soon in Vancouver and Montreal). Building an application 100% bullet proof is somewhat something impossible, mainly in when the application can be use by wide range of customer. In Windows Phone, we are affected by the device, the connectivity, the lock screen, etc.). In some combination of event an error can occurred that have not been tested. So my philosophy about that is to be pro-active. So i don’t want to wait the complaint of customer, i want to know when an error occurred with as much information to help me reproduce the problem to finally fix the issue. To achieve this goal, there is some analytics component available for Windows Phone 7. Some of those are able to tracking the errors that might occur in your application. But i find out a nice component, that do the a really great job. BugSense is a really simple component. When i mean simple, it’s really simple add the component and add 1 line of code in the App.xaml.cs and your done. The component can be download as standalone package or you use NuGet to install the package. Here is a screen of the only line of code that is required by the component. On the website you have access to a nice Dashboard that will provide you with a lot of information about the error and the recurrence. So what happen when there is an error, the user will get notified and a report will be sent to the BugSense so you can get notified and review the error. As you can see there is some options, that allow you to control the popup window that show up by default (yes you can turn it off if you want). Once an error is logged you indicate in your account to receive Email notification. Which is a good idea when you want to have a nice application (that don’t bug too often ).